Deliverance--freedom from the power of indwelling sin, the sinful nature--needs to be experimentally learned before we truly can have peace with God. The problem is detailed in Romans 7 and resolved in Romans 8 (JND translation). A person is saved and is so happy, but he soon finds that the sinful nature is still in him and that he sins even though he doesn't want to! It makes him miserable and he imagines all sorts of things. 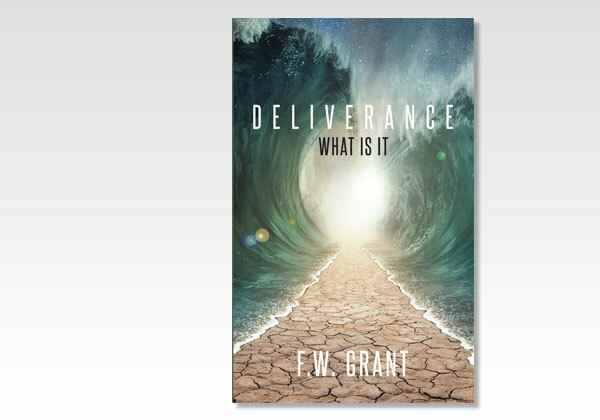 He seeks to work out a deliverance, but he finds no power to walk for God. The power for victory is not in our new nature, but in Christ Himself and the indwelling Spirit. In five chapters F.W. Grant (1834-1902) shows us the problem and the wonderful solution found mainly in Romans. It is not keeping the Law of Moses--impossible to do. Once a person sees what Christ and His work involve, what they have done for us, one sees the wonder of the Lord's deliverance over the evil of sins committed. If we want to be happy and useful Christians, then we need to be happy, realizing the great freedom in Christ! What blessings are available to us in our blessed Lord! May we all learn much in this short book!